Ignoring hunger and getting to the point where you’re so ravenous you could eat the entire refrigerator is not good on many levels. Aside from the headaches, dizziness, and stomach pangs that go along with waiting too long to eat, it also makes you eat tons more than you would if you were just moderately hungry, and that can cause weight gain. 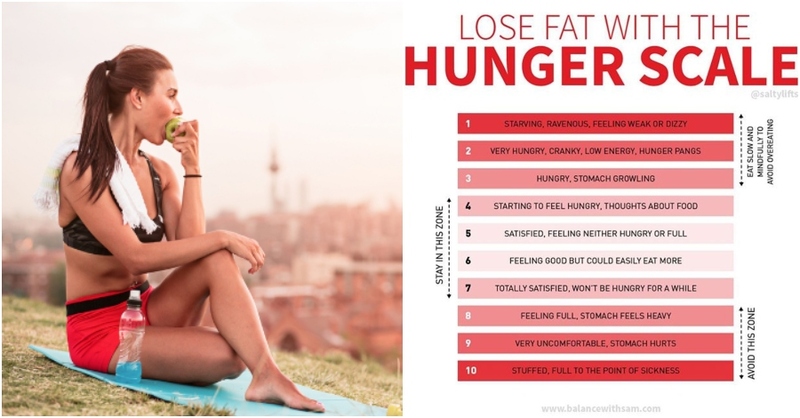 Hunger is important for weight loss, it signals your body when it’s time for your next meal or snack. But for everyone’s sake, you want to avoid getting hangry. So how to you gauge how much hunger is OK? It’s a scale from one to 10, with one being your absolute hungriest, feeling light-headed level, five being completely neutral (not hungry and not at all full), and 10 being really uncomfortably stuffed. You want to grab a snack or meal at about a three, when you’re moderately hungry, and stop eating around a six, just past that completely neutral feeling. You want to develop a personalised eating schedule where you eat when fairly hungry (if you waited another hour, you’d be famished) and eat just enough to feel satisfied and be hungry again three to four hours later. 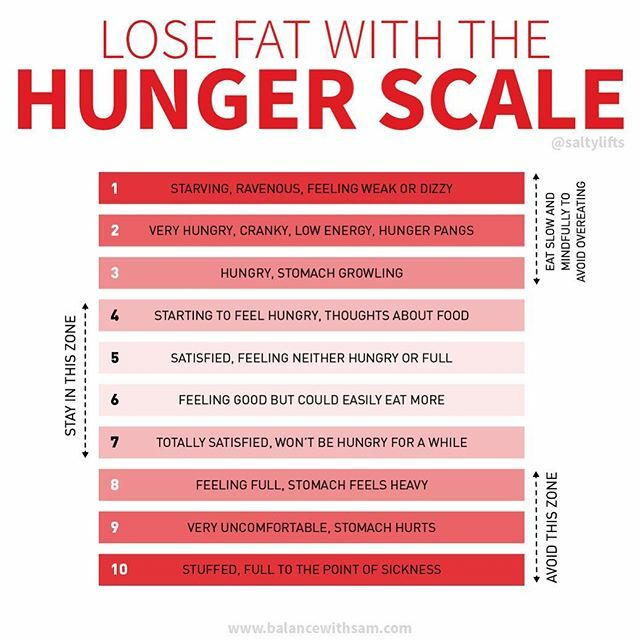 This way of being mindful of your hunger, using a hunger scale, is a great way to monitor what and how much goes in your mouth. 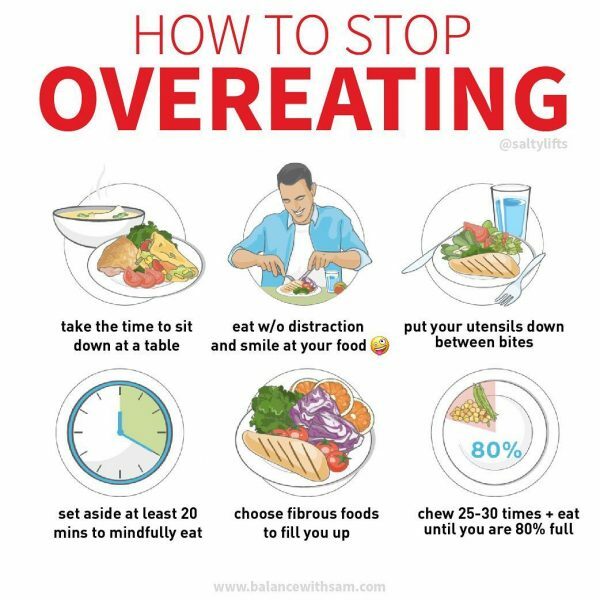 Keep the numbers in mind every time you’re about to reach for something to eat. Think to yourself, “What number am I?” and it should help curb those unnecessary eating when you’re not actually hungry and will also prevent you from getting past the point of hunger to where you want to order an entire pizza for lunch.